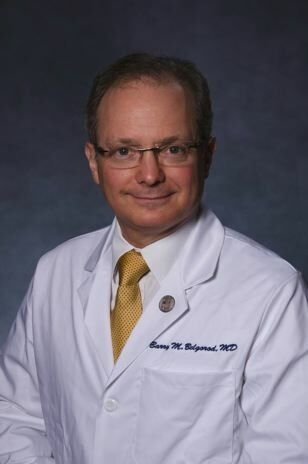 Dr. Barry Belgorod is a leading Opthamologist in New York City with unprecedented and comprehensive patient care. Specializing in Custom Contacts, PRK laser surgery and comprehensive eye exams Dr. Belgorod will manage all your eye care needs. Barry Belgorod specializes in hard-to-fit contact lens patients with an emphasis on providing a comprehensive exam. Photorefractive Keratectomy (PRK) is the preferred laser surgery to LASIK for reshaping the cornea to enhance your vision. With four decades of experience Dr. Belgorod specializes in providing a comprehensive opinion and recommends getting a second opinion prior to any surgical procedures. Through a detailed approach Dr. Belgorod will determine the proper steps of treatment whether it is medication or severe pressure and nerve damage exists and surgery is required. Conditions like Astigmatism and Keratoconus require a detailed analysis in determining the proper contact lenses ranging from soft, permeable and hybrid lenses. Cataracts are the most predominate reason for vision loss and can be removed with a safe and efficient surgical procedure. Taking the time to listen to the patient is the most important initial step in making the correct diagnosis and establishing a strong doctor-patient relationship. We work exclusively for our patients, not for the health insurance industry, not for the government, nor for other third-party payers. In this way, we are able to spend as much time as is required to give our patients appropriate care and personalized patient education about their conditions. At our office off Park Avenue on the Upper East Side of Manhattan, you will have unprecedented access to meticulous, customized care for existing conditions, as well as preventive care to help keep your eyes healthy and your vision sharp in the future. Dr. Belgorod personally performs comprehensive eye examinations using state-of-the-art equipment to diagnose and treat refractive disorders via glasses, laser refractive surgery and custom contact lenses, as well as, abnormalities of the lids, external eye, cornea, infectious and auto-immune eye conditions, glaucoma, cataract, optic nerve and retinal diseases. Dr. Belgorod also performs examinations for second opinions for surgery. If you desire a concierge hands on treatment from the leading opthamologist in new york city contact us and learn more about our custom contact lens service. PRK surgery has help improved endless amounts of patients vision. Learn more about the first procedure to use excimer laser to treat refractive eye errors and see if you are a candidate. Every patients needs and situation are extremely particular. Learn more about the important questions and key flags on determining the necessity of a surgical procedure. Scheduling an appointment for a second opinion is always advisable to potentially avoid unnecessary stress. Severe pressure and nerve damage can be causing detrimental issues to your vision. Learn more about the signs and symptoms of glaucoma along with the different levels and what treatments are needed as each point. Getting the right contact lenses for your particular case is a paramount requirement. Learn more about the eye conditions that exist to see the potential relief and treatment you can receive. Cataracts are extremely common in people over the age of 40. Effecting millions of Americans each year, the proper treatment and surgery against cataracts can alleviate years of protein buildup.